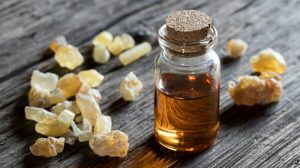 A series of emerging studies are finding frankincense has the impressive ability to cause cancer cells to “commit suicide,” without harming healthy cells. Additionally, it stimulates the rapid production of white blood cells, which boost the body’s immune response and enable it to fight cancer on its own. By contrast, chemotherapy destroys healthy cells, including white blood cells, along with cancer cells, and suppresses the immune system. Frankincense is an aromatic resin obtained from Boswellia trees. It’s been used in incense and perfume for thousands of years and was allegedly given as gift by the wisemen at Jesus’s birth. Below are studies showing the fantastic results frankincense has had on breast, cervical, prostate, colon, bladder and pancreatic cancer, as well as leukemia. 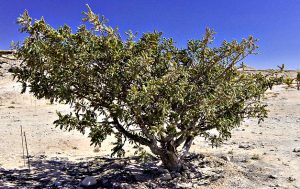 A 2018 study found that a non-toxic dose of Frankincense and Myrrh triggered T-cells to mediate anti-tumor activity. “This may provide new insights to this ancient mysterious prescription in cancer therapy, which offers a novel and practical therapeutic strategy and the possibilities of combined immunotherapy for Hepatocellular carcinoma, as well as other inflammation-related cancers,” the study’s authors write. Another 2018 study found the essential oil of frankincense oil suppresses chemo-resistant breast cancer tumor progression and induces tumor cell apoptosis (cell suicide). A 2016 study found an active ingredient in frankincense induces apoptosis of human cervical cancer cells. Another 2016 study found acids in Frankincense inhibited the proliferation of and stimulated programmed cell death (apoptosis) in leukemia tumor cell. A 2015 study found Frankincense essential oil to be an effective anticancer agent against pancreatic cancer cells. “The oil can modulate apoptotic and cell survival signaling cascades at intracellular level to elicit significant [cancer] cell death,” the authors write. A 2009 study found Frankincense oil can discriminate bladder cancer cells and normal urothelial cells. The oil suppresses cell survival and induces apoptosis in bladder cancer cells.